A female cyclist has been taken to hospital following a collision with a bus in Sompting, an ambulance service spokesman said. Ambulance crews were called to Cokeham Road and Western Road in Sompting at around 12.20pm today (Monday, January 28) following reports a cyclist had been in collision with a bus, the spokesman said. 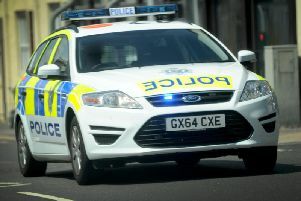 The spokesman said: “The female cyclist was assessed and treated at the scene before being taken to Worthing Hospital.